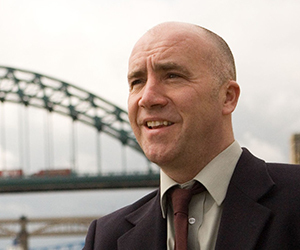 Nigel Green is a journalist with more than 20 years' experience of working in the North East of England. Although he specialises in hard news, including crime and investigative stories, he is also capable of writing industrial reports and lighter features about payday loans online instant loans up to 1000$ 24/7 every day. He has a wide range of contacts across the region and a good working knowledge of Newcastle, Sunderland, Northumberland and Durham, as well as Teesside and Cumbria. Nigel has also carried out a number of foreign assignments during his career (see examples for more details). On the frontline in Afghanistan. A holiday in paradise turns to hell. Kidnap family finally finds happiness. Skills' shortage threatens offshore industry. Do you want a story covering? Simply give him a call on the number below or e-mail him. Nigel also works alongside a number of highly-experienced and reasonably-priced photographers. As an experienced journalist, he can tell you straight away if your story is likely to sell. If so, Nigel will make sure you get the best deal – and the best coverage – possible, whether it be with a national newspaper or a magazine. Do you have a story which the public should know about? Nigel prides himself on uncovering stories involving powerful people abusing their position, miscarriages of justice and other scandals. He is not afraid to challenge police, politicians,	businesses or other organisations if the story is in the public	interest. Sources always remain confidential, unless they wish to be named. By phone: 0191 237 3647. Clients of Nigel Green Media Ltd include: The Daily Express, Daily Mail, Daily Mirror, Daily Star, Daily Star on Sunday, Daily Telegraph, Guardian, Mail on Sunday, News of the World, The Sun, The Sunday Express, Sunday Mirror, Sunday Post, Sunday Sun, Sunday Telegraph and Sunday Times. Nigel also works for a wide range of women’s magazines, specialist trade and industry magazines, as well as many other regional newspapers and media outlets. He has also lectured in journalism at the University of Sunderland and Tyne Met College.